In December 1987, U.S. President Ronald Reagan and Soviet General Secretary Mikhail Gorbachev signed the landmark Intermediate-Range Nuclear Forces (INF) Treaty. On October 21, 2018, President Donald Trump announced at a rally that the United States would formally withdraw from the agreement, claiming that Russia had violated the treaty’s terms. A U.S. withdrawal would also undo critical progress to reduce nuclear arms proliferation. 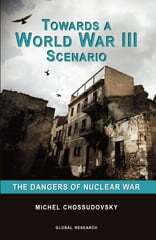 And with the New Strategic Arms Reduction Treaty (New START) Treaty scheduled to expire in 2021, if the INF Treaty collapses, there will be no international agreements in effect to limit the two largest nuclear arsenals in the world from getting even larger — and possibly using what they’ve got. It’s important to note why the INF Treaty was negotiated in the first place. In the 1970s, the Soviets developed and began deploying a new “intermediate range” nuclear missile that threatened Europe, Asia, North Africa, and Alaska. The United States responded by deploying “Pershing II” missiles to Germany and Ground Launched Cruise Missiles to several NATO nations in Europe. The Soviet SS-20 and American Pershing II ballistic missiles would have been particularly destabilizing in a crisis by virtue of their short, six- to eleven-minute flight times to target. Recognizing the danger, U.S. and Soviet leaders agreed upon the INF Treaty, which prohibited the entire class of ground-launched intermediate-range nuclear weapons. The INF entered into force in 1988, and since then 2,692 missiles have been verifiably removed or destroyed. The INF contributed to the end of the Cold War and played a significant role in reducing the global arms race. The INF also opened the door for other historic nuclear disarmament treaties to be pursued through diplomatic channels. 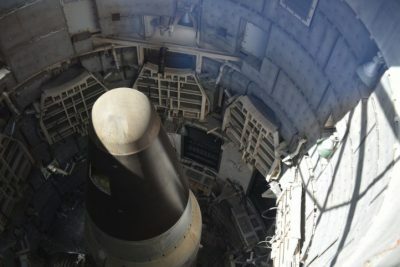 If the United States unilaterally withdrew from the INF, it would set a dangerous and woefully irresponsible precedent for all nuclear-armed nations to renege on their disarmament responsibilities. They’re not alone. In the days since Trump’s announcement, foreign policy experts, diplomats, former U.S. government officials, and even leaders of other nations have spoken out in opposition to the proposed United States withdrawal from the treaty. Even Mark Hamill, Luke Skywalker himself, has weighed in. The United States must negotiate with all nuclear-armed countries for total elimination of their nuclear arsenals. In the meantime, it is critical that the INF remain in force, with both parties fully and demonstrably adhering to the terms of this vital international agreement. If the Trump administration continues along its present foolhardy course, then Congress should use the power of the purse and refuse to fund anything that would support new intermediate-range weapons.